The Breitling Triathlon Squad is made up of three of the sport’s most successful competitors. 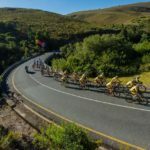 Jan Frodeno, Chris “Macca” McCormack, and Daniela Ryf competed together in their first shared mission: the grueling Coronation Double Century bicycle race in Swellendam, South Africa. 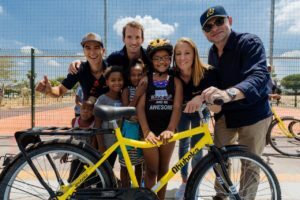 Along with a team that included Breitling CEO Georges Kern, world champion mountain biker Nino Schurter, Ironman champion Ronnie Schildknecht, and Italian road cyclist Vincenzo Nibali, they rode in support of Qhubeka https://qhubeka.org/, a South African charity that – appropriately – provides bicycles to people in communities with limited transportation options. The three members of the Breitling Triathlon Squad know exactly what endurance races are all about. Jan Frodeno was the first triathlete to win both the Olympic triathlon gold medal and the Ironman World Championship title, Chris “Macca” McCormack has claimed two Ironman World Championships, and Swiss star Daniela Ryf has won the Ironman World Championship and the Ironman 70.3 World Championship four times, most recently in 2018. 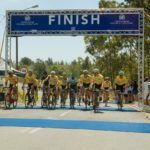 It was fitting that their first shared mission was South Africa’s Coronation Double Century bicycle race. If the participation of these standout triathletes was not impressive enough, the Breitling team also included other remarkable competitors such as seven-time world champion mountain biker and multiple Olympic medalist Nino Schurter, Ironman champion and duathlon specialist Ronnie Schildknecht, and Italian road cyclist Vincenzo Nibali. 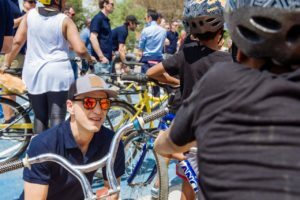 Nibali is one of only seven people to have won the three Grand Tours (La Vuelta, the Tour de France, and the Giro d’Italia) in their careers. 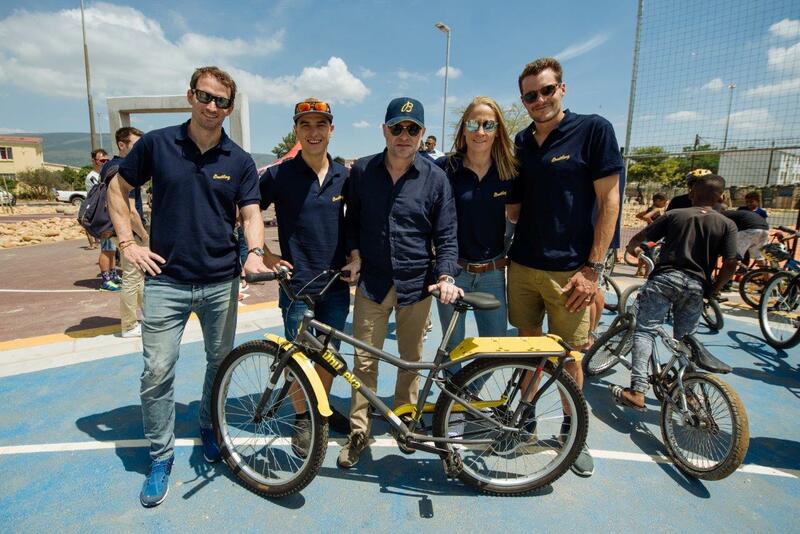 Breitling CEO Georges Kern also cycled with the extraordinary team in the Coronation Double Century race. The mission was all in support of a good cause. 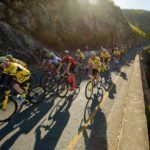 The Squad were riding for Qhubeka, a South African charity that moves people forward with bicycles – improving their access to schools, health-care centers, and places of work. The name Qhubeka means “to move forward.” Bicycles are remarkable agents of change – they allow their riders to get to the places they need to go and do things that are difficult without transportation, such as fetching supplies, traveling to school or work, or providing emergency relief after a disaster. 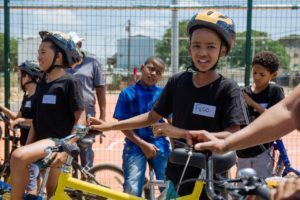 Qhubeka’s programs include learn-to-earn programs for schoolchildren and work-to-earn programs for adults. 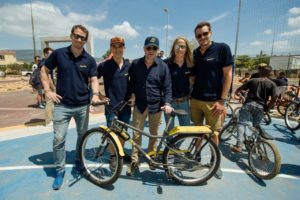 The funds raised through this partnership will allow Qhubeka to distribute 500 bicycles to communities that are in desperate need of them. 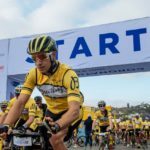 When he finished the Coronation Double Century, Georges Kern said: “I think that all of us are exhausted after the race, but all of us on the Breitling team are also excited to be able to provide this much support to Qhubeka and the amazing work they do. 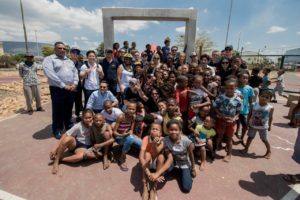 The day after the Coronation Double Century, the Triathlon Squad and other members of the Breitling team visited one of Qhubeka’s projects and were able to experience firsthand the impact that the bicycles would have on the community. The athletes were touched by the people they met. 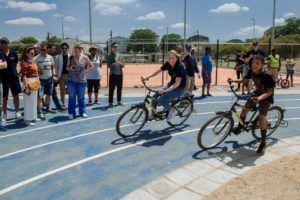 There is still an opportunity for people who would like to help Breitling support Qhubeka and their work. Anyone wishing to purchase one of 77 limited–edition Breitling Colnago C64 bicycles can e-mail cycling@breitling.com for additional information.